Established in 1994, The Centre County Emergency Communications Center has been serving residents and businesses from our renovated facility in the Willowbank Office Building. Centre County 911 is constantly striving to meet the needs of the public using the latest, state-of-the-art radio, telephone, map and (computer aided dispatch) systems. Our department employs 32 skilled and educated professionals. The office houses the Director, Assistant Director, Department Secretary, Addressing Specialist, Addressing/ALI Database Manager, Addressing Field Technician, Supervisor of Technical Services, Quality Assurance Supervisor and 25 telecommunicators. In addition to being full time employees at 911, many of us are or have been part-time first responders (firemen, EMTs and police officers). 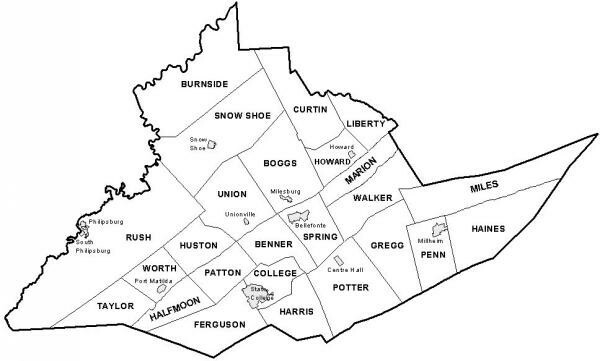 Centre County 911 also assigns and coordinates addressing for our customers -- the 35 municipalities in our county! Every residence or business in Centre County has a municipal style address so emergency responders can locate them quickly. We utilize a team approach to provide and maintain efficient emergency operations 24/7/365. Our goal is to provide immediate and professional quality service for all that we serve. Through our actions, we help those in their time of need. Centre County 911 (also referred to as PSAP -Public Service Answering Point) provides emergency & non-emergency services to our residents and businesses, and travelers passing through the county. We are the primary contact point for persons needing police, ambulance or fire assistance, and we also provide a channel of communication between responders and other public safety personnel. We dispatch for 5 police departments, 20 fire departments, 10 EMS agencies and the Centre County Sheriff's Department. In 2014, Centre County added six new additional tower sites throughout the county as part of our radio system upgrade for better responder communication bringing our tower sites to a total of 19. Can you hear me now? Centre County 911 is Enhanced 911(E911) equipped for our residents and businesses who have wireline or landline phone services in their homes or office such as Verizon, Windstream, or CenturyLink for example. What does this mean? If you dial 911 from your home or office phone, the Dispatcher answering your call is able to automatically view your address and telephone number on the computer screen the minute your call is received! It is automatically generated. Be sure to check out our online Street Name Database / Address Lookup tool to search for available street names.